The author of numerous novels, Stewart O'Nan has been lauded with critical acclaim and best-seller status on his way to consideration as one of America's most gifted novelists. 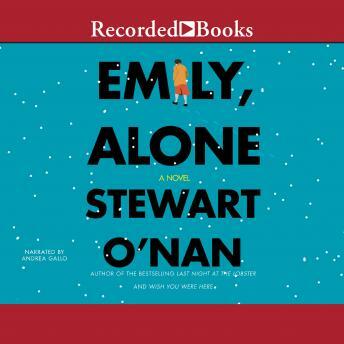 Emily, Alone, a sequel to Wish You Were Here, revolves around widow and grandmother Emily Maxwell, whose ordered life is jarred when her sister-in-law suffers a stroke. But even amid the conflicting emotions of a changing world, Emily proves resilient and vows to move forward with the grace and dignity with which she has lived her life.